Add-on external yagi antenna kit for amplifiers with an SMA external antenna port. 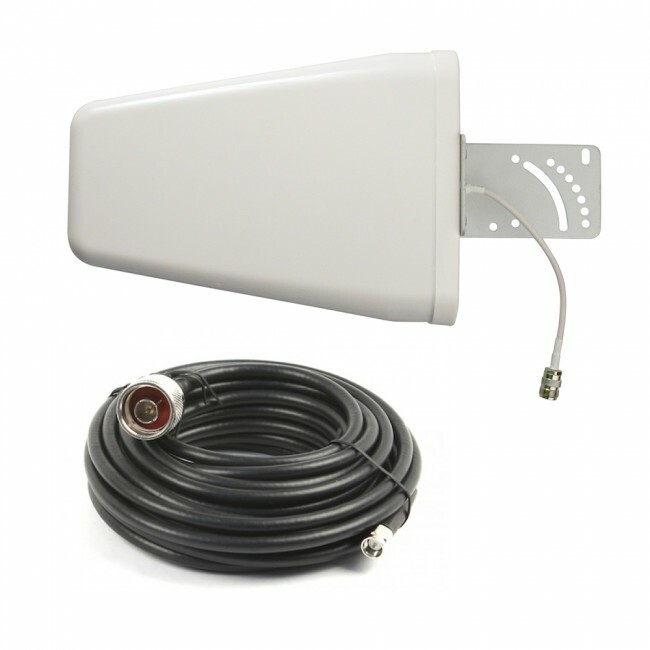 This kit allows you to add an external yagi directional antenna to any booster that has an SMA external antenna port. 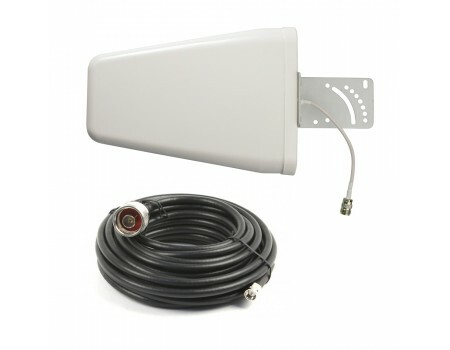 It includes a 20 ft RG58 cable with N-Male (to connect to the external yagi directional antenna) and SMA-Male (to connect to the amplifier) ends. Please Note: The external yagi antenna is designed to be mounted to a pole on the roof of the building. If you do not have an existing pole, you should consider the antenna pole mounting assembly.